In this holiday season, it’s easy to focus on the wrong things and not the reason for the season. There is so much temptation in focusing on the present and the stress of planning a holiday gathering. Here I would like to give you ideas on how to stay focused and present in your celebration of Christmas. Reason for the season: I guess this would be an obvious one but one that is easy to lose sight of. It’s easy to go to church on Christmas or on Christmas Eve or one of the services that is offered around that time. But when you go to church, really focus on Jesus. Really focus on the fact that He came and became a human so that He can live the life that we live only to be beaten and tortured and then die as a criminal by the hands of those who He came to save. On YouVersion, there are so many Christmas and advent reading plans that are offered that can help you focus on the reason for the season and that can help you focus on Jesus‘s birth and the events leading up to it. All of these reading plans are free and will always be free because of the wonderful people who allow for the Bible to be accessible to everyone who has a smart phone or computer. Family: Now I know that some people don’t spend Christmas with their families because of drama or because you’ve lost communication with them. If you do have time to spend with your family, do so. In my nest post, I will explain more about how important this is. And let’s say you are one of those people that I mentioned earlier that don’t spend time with family because of drama… I would like to encourage you to at least reach out to them and wish them a merry Christmas or if you don’t have the stomach to do that for whatever reason, pray for them. Spend a good amount of time in prayer with the Heavenly Father and pray for your relationships with them and for them as human beings. A lot of struggle with family relationships happen because of the losing of sight of what is really important when it comes to family which is the unconditional love that is expected and desired. Show them that love through prayer or being the one to reach out. Not everything needs to be perfect: When you’re planning a get together, don’t think about the finite details and focus on everything needing to go your way. I know this can be difficult especially for us perfectionists, but when it comes to the actual day we need to go back to the first suggestion and remember the reason for the season is Jesus. When it comes to gifts and the stress of spending money, focus more on the fact that you are giving somebody else joy by giving them what they wanted or giving them something that you think would benefit them or bring them joy. If money is tight, set a budget for each person that you would be able to stick to and for next year, start shopping in May or start shopping in June on that budget and then if money allows, get them something extra when Christmas rolls around. Volunteer: There are so many opportunities especially around this time of year to volunteer to help those who are in need and to reach out to the community. 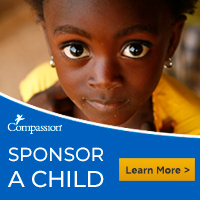 Maybe you can participate in one of those options that I mentioned in my last blog post such as operation Christmas child in October or there are those trees that some churches put up with little tags of children who might not get anything this year for Christmas because their family is struggling financially. Grab one of those tags and have fun in purchasing gifts for kids especially when you’re already getting gifts for other kids in your family or just to purchase a gift for a child when you are unable to conceive a child. Some of the greatest joys we have during Christmas where when we were children and it opened up the toy that we saw commercials for when watching Saturday morning cartoons. Let Christmas be bigger than yourself: After reading all of these tips you might realize that Christmas is way bigger than you and your struggles. Don’t let it be anything less. Thank you for stopping by and sharing you thoughts! Merry Christmas and a Happy New Year to you!